Alloy Steel A387 Gr.2 Cl.1 Plates, Gr.2 Cl.1 Alloy SA387 Cold Rolled Plate Exporter, Alloy Steel Gr.2 Cl.1 Hot Rolled Plate Supplier. Marc Steel is a known trader and supplier of ASTM A387 GR.2 CL.1 Alloy Steel Plates, which has some prominent features to offer such as excellent finish, durable, robust construction, dimensional accuracy, high resistance to rusting, and more. Alloy Steel ASTM A387 GR.2 CL.1 Plates Buy Alloy Steel Plates GR.2 CL.1 at affordable price from us. We offer a comprehensive range of ASTM A387 GR.2 CL.1 Alloy Steel Sheets, which is available in different specifications, dimension and materials. With the consistent aid of highly experienced production team, we are completely adept in providing an extensive array of ASTM A387 GR.2 CL.1 Alloy Steel Coils. With sincere intentions to serve our customers through qualitative products, we are actively engrossed in offering ASTM A387 Alloy Steel GR.2 CL.1 Plates. We have established ourselves as coveted organization, involved in providing ASTM A387 Alloy Steel GR.2 CL.1 Sheets. ALLOY STEEL GR.2 CL.1 CR PLATES EXPORTER, A387 GR.2 CL.1 PLATES, GR.2 CL.1 ALLOY CR PLATES STOCKHOLDER, ALLOY STEEL GR.2 CL.1 HIGH QUALITY PLATES STOCKIST, ASTM A387 GR.2 CL.1 ALLOY STEEL CHEQUERED PLATE SUPPLIER, ALLOY CL.1 GR.2 COLD ROLLED PLATE EXPORTER IN INDIA. ASME SA387, GR.2 CL.1 PLATES, ALLOY STEEL HR PLATE EXPORTER, ASTM A387 GR.2 CL.1 PLATES, ALLOY STEEL GR.2 CL.1 PLATE, GR.2 CL.1 ALLOY STEEL PLATE DEALER, ALLOY STEEL HOT ROLLED PLATES DISTRIBUTORS, ALLOY STEEL GR.2 CL.1 HIGH QUALITY PLATES MANUFACTURER & SUPPLIERS. 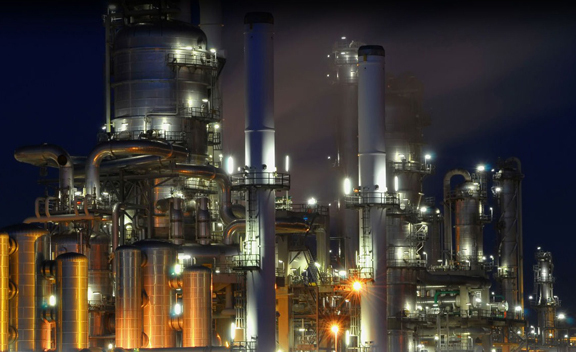 Our product range of ASTM A387 Alloy Steel GR.2 CL.1 Coils also includes a wide range of Chimney and Tank, Blowdown Tank, Smoke Stack, Vertical Storage Tank, Vacuum Tank and Water Pressure Tank. 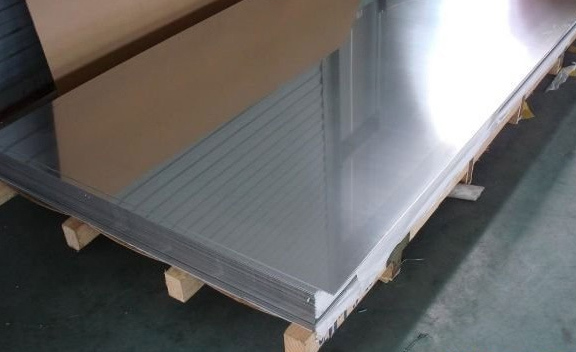 Our offered ASTM A387 AS GR.2 CL.1 Sheets are manufactured using optimum quality raw material which is made from reputed specialists from the industry. ASTM A387 AS GR.2 CL.1 Plates also offers some great features like having optimum finish, precision-designed, lightweight and more. These ASTM A387 AS GR.2 CL.1 Coils are made by qualitative range of raw materials and are available in a broad spectrum of sizes and materials at most competitive prices. Chile, Bolivia, Azerbaijan, Nigeria, Ireland, China, Serbia, Austria, Ghana, Denmark, Tibet, United States, Venezuela, Croatia, Costa Rica, Puerto Rico, Turkey, Germany, Kenya, Sweden, Nepal, Pakistan, Belarus, Russia, Indonesia, Trinidad & Tobago,Tunisia, Poland, Bulgaria, Afghanistan, Malaysia, Bhutan, Lebanon, Qatar, Japan, Argentina, Israel, Romania, Yemen, Czech Republic, Slovakia, Oman, Algeria, Lithuania, Egypt, Brazil, Libya, Jordan, Morocco, Taiwan, Hong Kong, Iran, Singapore, Thailand, Iraq, New Zealand, Gabon, Iran, Namibia, Netherlands, Australia, Angola, Poland, India, Switzerland, South Africa, Portugal, Hungary, Kazakhstan, Bangladesh, Zimbabwe, United Arab Emirates, Saudi Arabia, Belgium, Finland, United Kingdom, Philippines, Canada, Greece, Mexico, Estonia, Spain, Ecuador, Gambia, Ukraine, South Korea, France, Mongolia, Bahrain, Chile, Sri Lanka, Macau, Colombia, Norway, Peru, Nigeria, Mexico, Vietnam, Kuwait, Italy. Noida, Haryana, Chandigarh, Karachi, Mexico City, Dammam, Ankara, Singapore, Edmonton, Kolkata, Kuala Lumpur, Doha, Port-of-Spain, Vadodara, Ulsan, Hyderabad, Los Angeles, Kuwait City, Courbevoie, Riyadh, Nashik, Busan, Rajkot, Howrah, Hong Kong, Surat, Al Khobar, Moscow, Brisbane, New Delhi, Ho Chi Minh City, Manama, Mumbai, Lagos, Kanpur, Aberdeen, Lahore, Cairo, New York, Abu Dhabi, Gurgaon, Seoul, Rio de Janeiro, Melbourne, Sydney, Atyrau, Indore, La Victoria, Ranchi, Bhopal, Baroda, Calgary, Jamshedpur, Dubai, Vung Tau, Petaling Jaya, Ernakulam, Pimpri-Chinchwad, London, Muscat, Montreal, Ahvaz, Gimhae-si, Jaipur, Toronto, Jeddah, Pune, Bangkok, Dallas, Milan, Geoje-si, Hanoi, Algiers, Santiago, Thane, Sharjah, Al Jubail, Istanbul, Coimbatore, Tehran, Perth, Chiyoda, Ahmedabad, Nagpur, Secunderabad, Faridabad, Chennai, Jakarta, Houston, Visakhapatnam, Caracas, Thiruvananthapuram, Granada, Bogota, Colombo, Madrid, Navi Mumbai, Bengaluru, Ludhiana.